More and more we’re bombarded with information about smart home devices, and it’s exciting that there are so many systems and gadgets that can make our homes more efficient. But, while these devices can create a more sustainable and cost-effective living space, there are a few things as a home buyer or home seller that you should know about. 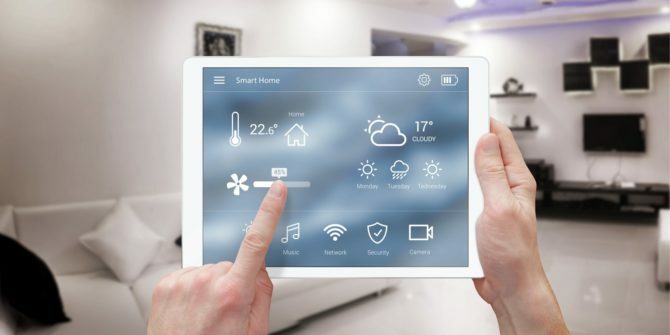 If you are preparing to sell your home, and it’s equipped with smart devices, these tips will ensure you’re doing all you can to position your home in the best light possible. Ensure you list ALL smart devices, even those that seem obvious. This should include light bulbs, security systems and anything else that falls under the ‘smart’ umbrella. Make sure you leave behind the manual for each and every device so that the new owner can use the devices. After you’ve made your list, review it to see what devices have passwords on them. To keep your personal information safe when you move out, remove your login credentials from the device panel. Often, an easy way to do this is to restore the factory settings. If you’re in the market for buying a new home, here are a few tips for you to take. They’ll ensure that you’re getting the most out of the smart home device features! Take a quick look at the device manual to see how to restore the default or factory settings before using them. Ensure that they software is updated, if applicable, to keep devices safe and protected. It’s easy to hit the ‘skip’ or ‘next’ button when you’re eager to get something setup, but this is a time you don’t want to do that. Ensure you understand all of the settings and select the right option (which often isn’t the default setting). Make sure that the warranties on the smart home devices are transferable to you. You don’t want to end up with devices that have no coverage. Don’t use default passwords as they are easy to hack. Here are some quick password rules to protect your devices. 10-character minimum with at least one number, symbol and capitalized letter. Don’t use easy to guess things like your address, name, etc. or use the exact same password for every account. We hope that these tips help you prepare for buying or selling a smart home! If you have any questions about our services or are ready to open an escrow, please contact us today!